On July 6, longtime Clinton crime family ally Attorney General Loretta Lynch unsurprisingly made it official. Hillary is home free – except in the court of public opinion and to what extent Trump and other Republicans intend making her criminality and untrustworthiness major campaign issues. Much exists to exploit. 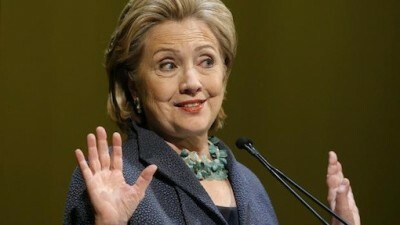 For now, she and husband Bill remain unaccountable for high crimes against peace, supporting predatory capitalism and neoliberal harshness harming millions, as well as racketeering through their Clinton Foundation – using it as a money-laundering, influence-peddling, self-enrichment racket, besides serious Hillary email security breaches. It doesn’t matter as long as she and husband Bill remain untouchable, things rigged to protect them, the way it is for all current and former top US officials. If ordinary people committed any of their offenses, indictment, prosecution and imprisonment would follow. High crimes by top government and favored business officials go unpunished – one system for America’s privileged, another for everyone else, making a mockery of justice. The prospect of a second Clinton co-presidency should scare everyone. Maybe they’ll be emboldened to destroy planet earth for their own self-aggrandizement and enrichment.